I am not a football fun but today I have to go and watch theses young kids battle it out in the field. Safaricom has introduced many programs to support young talent in the country which is incredible. If you don’t have a plan today, go to Nyayo Stadium today and watch Safaricom next generation national finals. 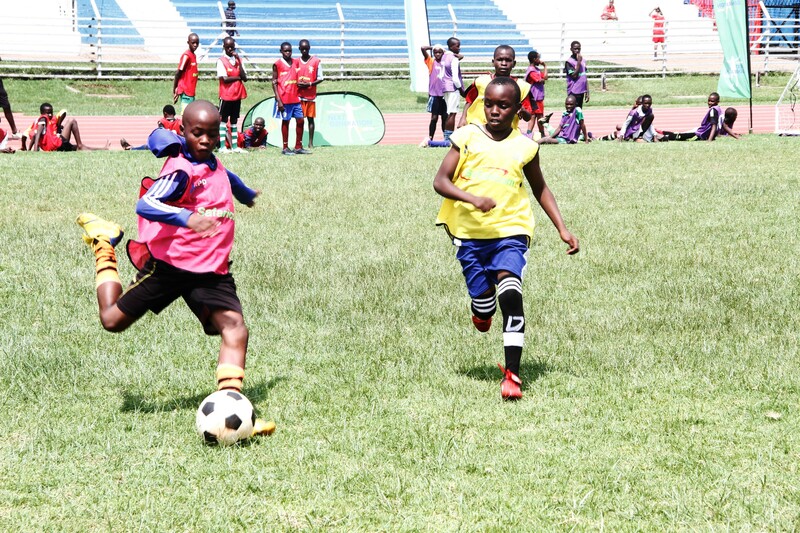 Safaricom next generation national finals kicked off today at Nyayo stadium where a total of Seventy Five talented young boys and girls between the age of 11 and 16 years will be selected to join My Professional Dreams Academy (MPD) next year. Safaricom next generation national finals will end tomorrow and it brought together a hundred and eighty (180) young talents who qualified in the regional trial-outs held in Kisumu, Mombasa, Thika, Nakuru, Kakamega and Nairobi for the last 5 weeks. Speaking during the event, MPD Director Terry O’Neill said the programme has attracted a lot of interest from all parts of the country with thousands of young people coming out to try their luck. “Some of the participants travelled from as far as 800km away to attend the trials. They came from areas such as Lodwar, Bundalang’i, Baringo, North and South Coast. The talent is there, and young people are looking for opportunities to be able to exploit their talent” he added. Out of the 180 shortlisted finalists taking part in the national trials, 64 are girls and 116 boys. Of the 75 that will be selected to join the academy in January 2016, there will be two teams for girls and four teams for boys. The players will be selected based on their skills, speed, fitness, agility, movement of the players in the field, character, fitness, discipline and their understanding of the game. Safaricom Limited sponsored the programme to a tune of Kshs.50 million. I know many people support international teams and forget about the local teams that make our counties proud. Companies like Safaricom and Airtel started projects that can attract Kenyans to support local talent.